A new study published in the journal Annals of Internal Medicine has found that Nalbuphine may help to manage opioid-induced urine retention. Urine retention is common in the hospital setting and is sometimes caused by the use of opioids. Once opioid-induced urine retention develops, resolving it without interfering with pain control can be problematic. Once opioid-induced urine retention develops, resolving it without interfering with pain control can be problematic. For example, naloxone effectively treats opioid-induced urine retention but reverses pain control, which may not be acceptable (1). Intermittent bladder catheterization provides immediate relief but is not a long-term solution because of the cumulative risk for complications. Abdisamad M. Ibrahim and associates conducted a study to show how nalbuphine may help manage opioid-induced urine retention. A patient with a history of alcoholic cirrhosis was hospitalized for right-sided abdominal pain, and diagnosed with portal vein thrombosis and hepatocellular cancer. The patient was treated with hydromorphone for pain and quickly developed urine retention. The patient did not respond to α-1 blockers and found a catheter to be effective but inconvenient. 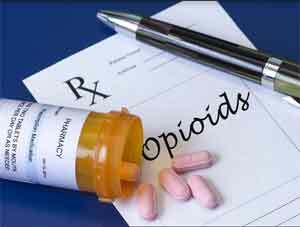 The clinicians gave the patient a dose of intravenous nalbuphine, an opioid used to treat moderate to severe pain that has a different mechanism of action than other opioids. The patient responded well to the medication and was able to urinate within the first 6 hours. ‘Clinicians should consider offering nalbuphine to patients with opioid-induced urine retention that does not respond to α-1 blockers who prefer not to continue using bladder catheterization”, write the authors.